If you're looking for a nice and quiet place to stay, this is the place you're looking for. The beds are really nice and comfortable. The rooms are a little small though, not so much space for your luggage. The lockers are big and useful. There are only two showers and two toilets for the whole hostel, which is not enough sometimes... They have a nice courtyard in the middle and a lovely roof-terrace. 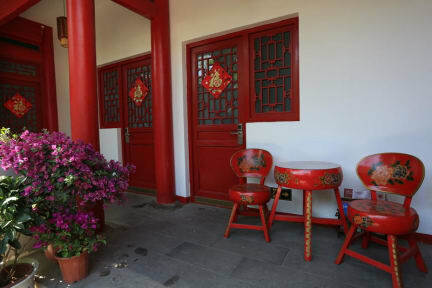 Located near forbidden city and subway line, so it's very easy to get everywhere fast!